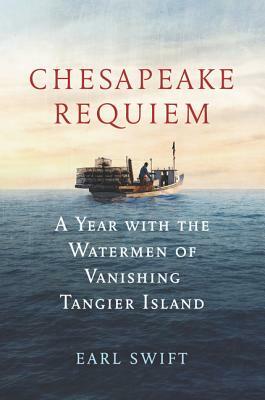 Chesapeake Requiem: A Year with the Watermen of Vanishing Tangier Island (Hardcover) | Fountain Bookstore, Inc.
Tangier Island is located in the middle of the Chesapeake Bay and is the heart of the blue crab industry as well as home to about 470 people. It's also sinking, and quickly. Earl Swift has spent a lot of time over the years visiting and writing on Tangier and now tells us the full story on the culture, history, science and politics surrounding what may very likely be America's first climate casualty. But this is not just a book on Global Warming (in fact most Tangier men and women are skeptical of such a thing), it's really a book on a hard-working community that's lived off the water for over 200 years, the same water that now threatens their survival. What do we lose if Tangier is allowed to be swallowed up by the bay? Swift shows that it is much more than just a small island.